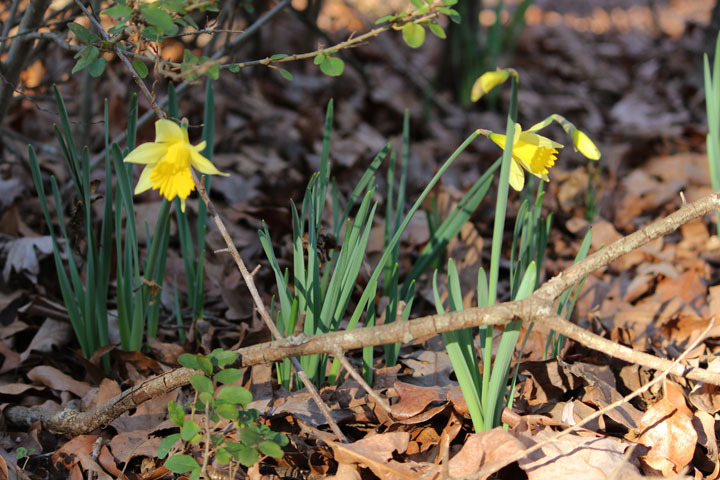 So let’s not just overshadow the really obvious fact that these flowers, while typically the first to bloom, are a *tiny* bit early this year. The photos posted below were actually taken at the end of January. I have been slightly worried as thoughts of a permanent winterless south have flown through my head, but the bees and plants seem content to continue producing, pollinating and revel in general springtime merriment. So maybe i should just enjoy it too? I have been longing for my dormant plant friends to come back and as we roll into March, I realize perhaps things aren’t too far askew from their “natural” cycles. These plants sure have been on this earth a lot longer than you or I have. They have endured a lot through their evolutions and cycles and have witnessed crazier things I am sure. 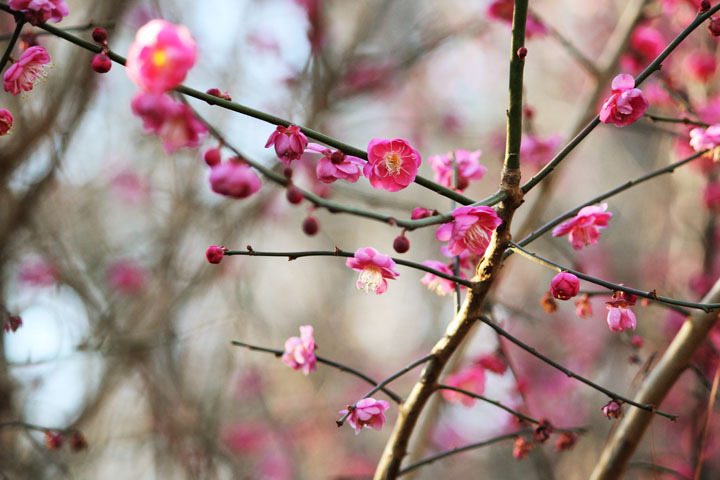 I am now beginning to relax and find my joy in the beauty of flowers unfolding and leaves unfurling. 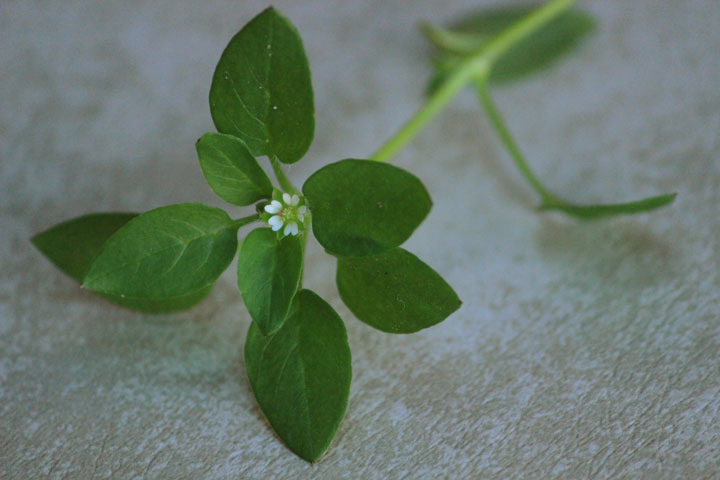 Chickweed (Stellaria media) A tasty and nutritious wild food high in vitamins & minerals and excellent for topical use in combination with herbs such as comfrey, yarrow and violet leaves for inflammation or abrasions. 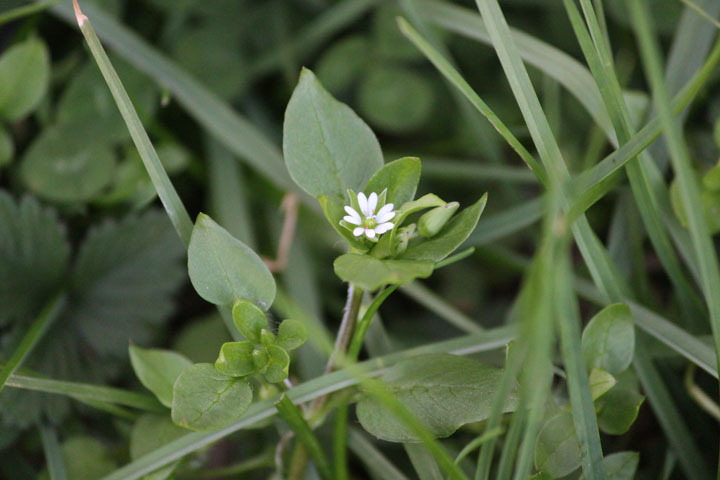 Chickweed is a very common plant. I am sure just about everyone has it growing in their yard or sidewalk crack. It is a prolific low ground creeper and is in abundant flowering right now. Its very cute flower might be best appreciated using a botanical hand lens. 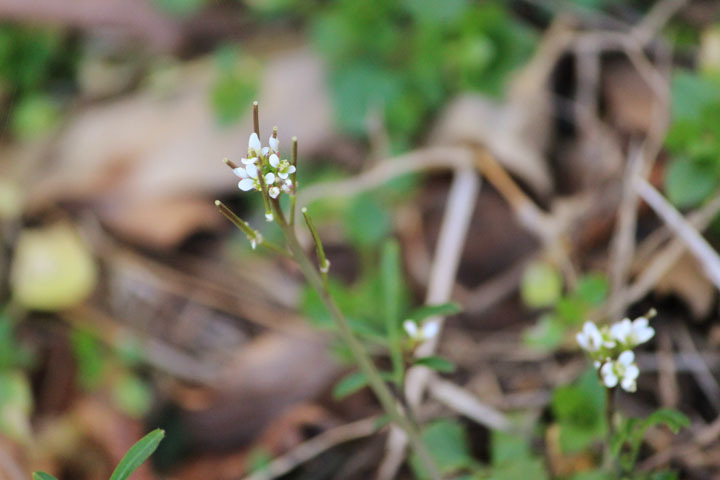 The stamen pop out like little fireworks and the white petals look like ten, but are really five. Each petal is divided so deeply it appears to be two, but if you examine it closely you will see that the petal is actually still connected at the base. Another botanical identifying attribute of this wonderous little plant is a single line of fuzzy hairs on its stem. The entire plant is edible. It is delicious raw in a salad, to nibble on in your yard, or to add to a wild greens pesto (see my recipe from a previous post). It is fairly abundant which further invites us to eat and make copious amounts of medicine with its super cute and useful self. Chickweed growing in my lawn. You can see the line of hairs running down the left side of the stem glowing in the light. 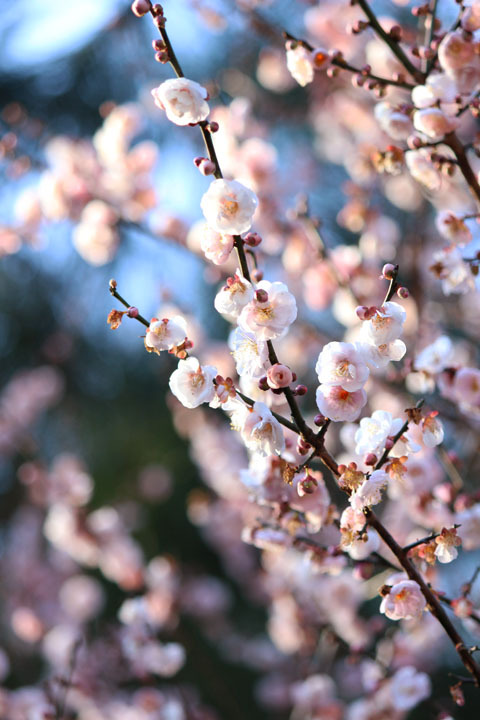 Many species of cherry are used in medicine such as Wild/Black Cherry (Prunus serotina) and Chokecherry (Prunus virginiana). 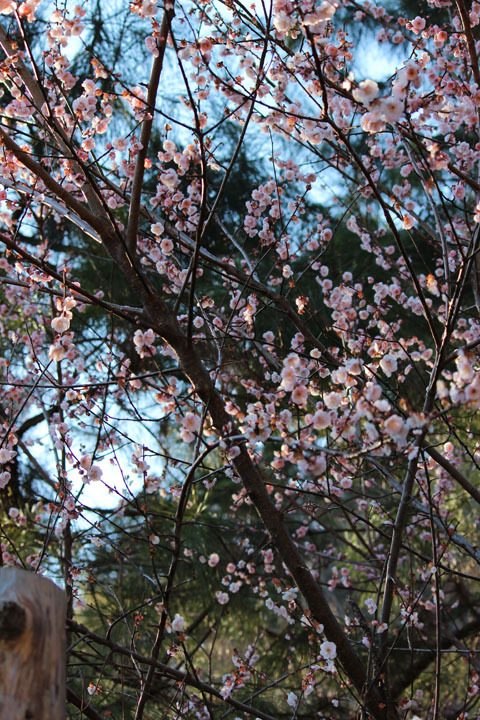 I am not sure of this particular species, but most other cherry species are either used for fruit or for ornamental purposes. I mean, why not? They are so gorgeous! It only tends to be a concern as we start to get into what is native or not native as far as landscaping goes. Another highly abundant little flower right now is Purple Dead Nettle. 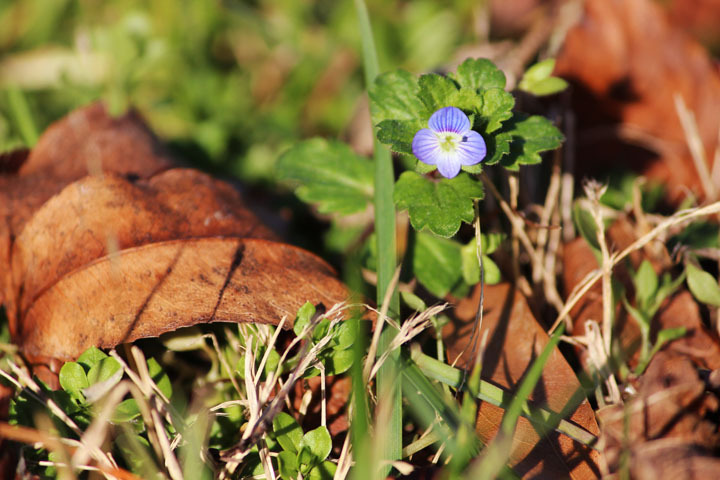 I absolutely love the flower on this small herb. 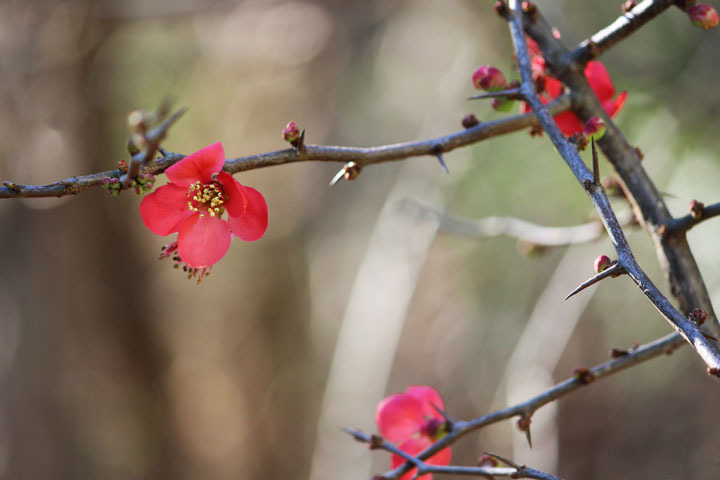 It is such a poised little flower: so delicate and complicated looking. 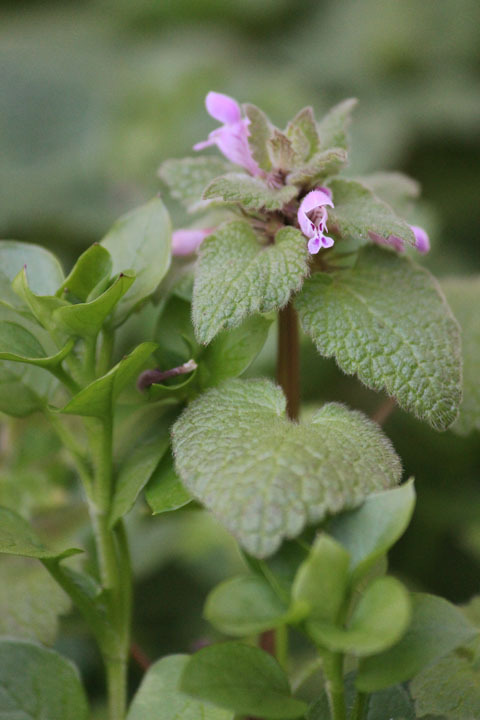 Purple Dead Nettle is also an edible weed. It is not recommended to eat in as high of quantities as you would chickweed, and does best cooked or in pestos. You could eat it raw, but it is a rather hairy plant which creates a strange texture in the mouth when eaten in this way. 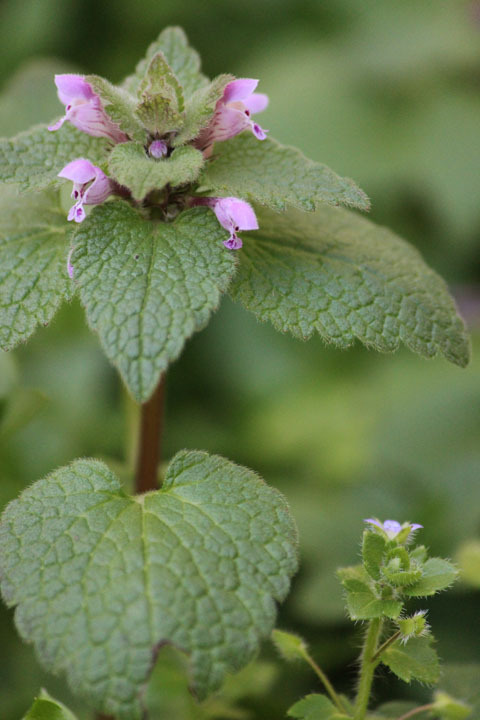 It is part of the mint family and does have a distinguishable aromatic quality, but is not as powerful in its scent as other mints such as pennyroyal or lemon balm. Another little edible that you might find among the Chickweed and Purple Dead Nettle flowering like crazy in your yard is what is referred to as Hairy Bitter Cress (Cardamine hirsuta). It is in the mustard family and in the Piedmont is the closest thing we have here to the famous Appalachian wild mustard green traditionally referred to as “Creasy Greens”. The leaves are shaped similarly but with less lobes and the plant is much smaller than the typical Creasy Green. “To prepare creasies southern style you must first gather a “mess” of the greens…chop the greens and boil them in a pot of salted water with a big chunk of fatback or ham for seasoning. The well cooked greens are topped with a sprinkling of chopped raw onions and a few squirts of pepper vinegar” (excerpt from Crawdads, Doodlebugs and Creasy Greens: Songs, Stories and Lore Celebrating the Natural World by Doug Elliott). Although our Cress greens are much smaller, you can still prepare them in this traditional way, or add them to your wild greens pesto! You can even call them creasy greens if you want to, just know they are botanically different than the ones found in Appalachia. Nibbling on a few bitter leaves before a meal is a traditional way to get our digestive enzymes and fluids flowing as our bitter receptors prime our digestive systems. We have sadly lost the tradition of using bitters as an important element of our diet to promote optimal system functions. They are critical for maintaining digestive wellness and can be used to address a wide range of digestive ailments to improve appetite, digestion and elimination. Eat your bitters! You only need a little bit. 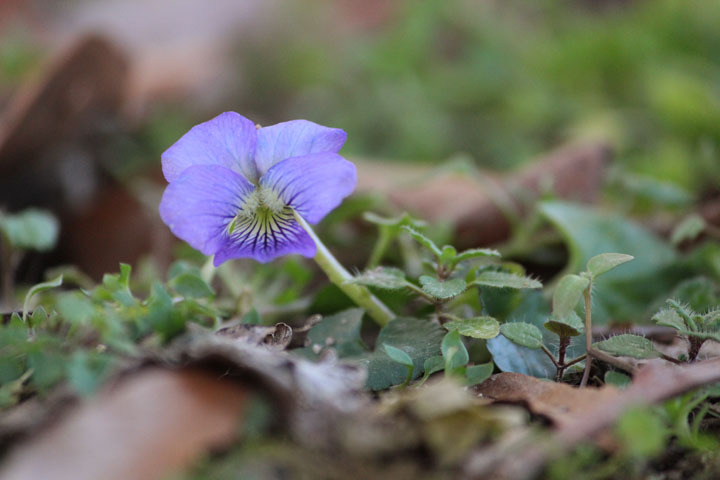 I have to say that I think finding a violet flower in my yard was a bit lucky, as I haven’t seen any anywhere else. So I wouldn’t exactly say they are “in bloom”. But here is a gorgeous little specimen that I can’t resist sharing. 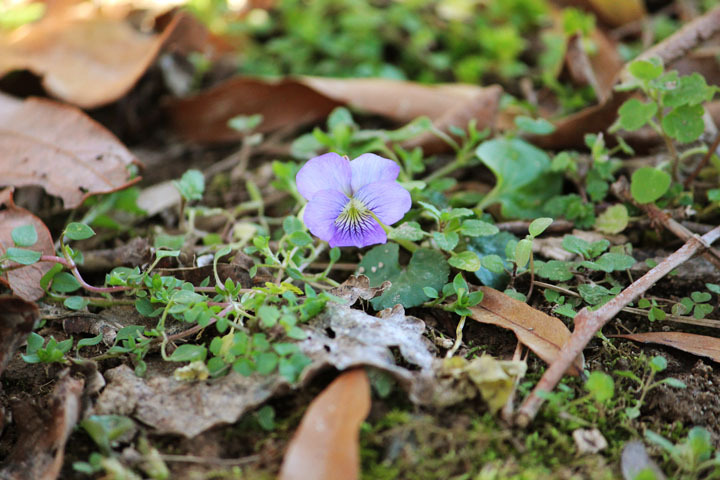 Violets are among my top ten favorite flowers. They are edible and beautiful and have just a touch of sweetness to them. Their leaves can also be added to a spring greens pesto. I like to add flowers to my pestos as well whenever possible. 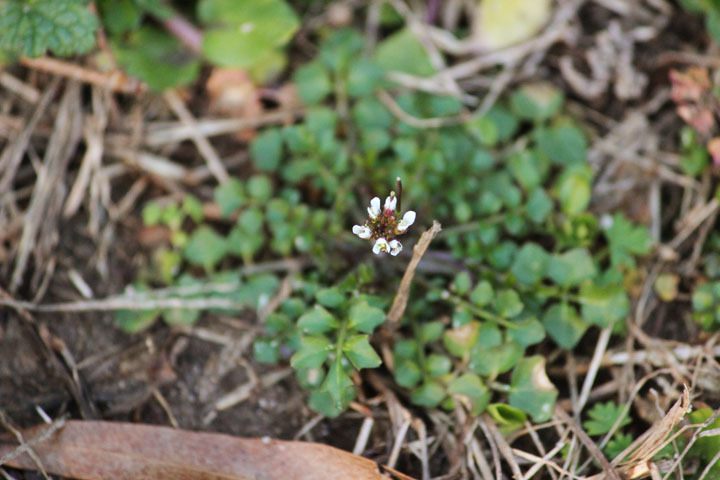 The bitter cress flowers are edible, and so are the chickweed flowers and Purple Dead Nettle flowers. I especially love to add daylily flowers and nasturtium flowers for extra spice (but they are not in bloom yet!). Rose family, a cherry perhaps? I forget what this is called, anyone? 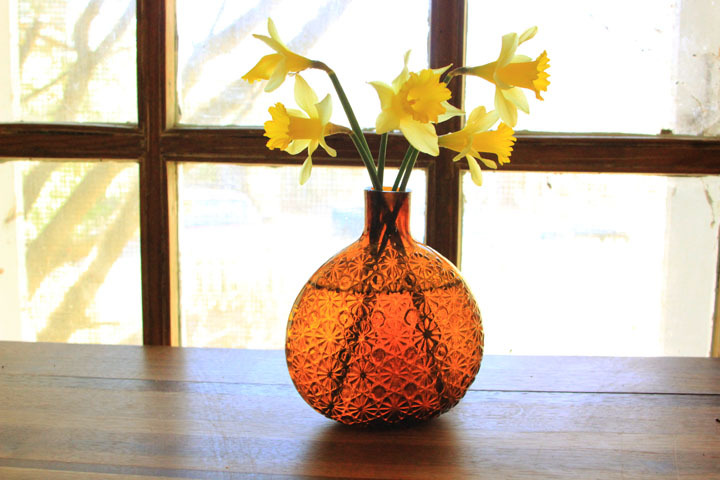 It is not edible or medicinal, just ornamental. Great blog. 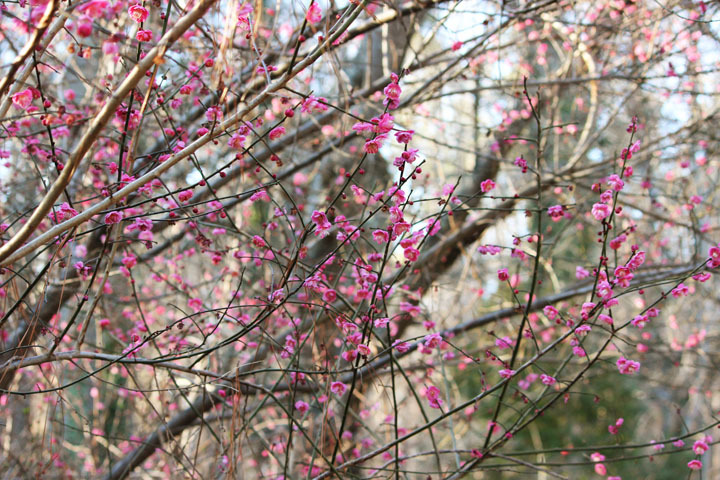 Time to get outside and see what plants are waking up! The photo at the bottom is Lenten Rose,Helleborus orientalis , I believe, We have seen an odd johnny-jump up, snow drops, and Lenten Rose, between snow falls here in NW Pennsylvania. 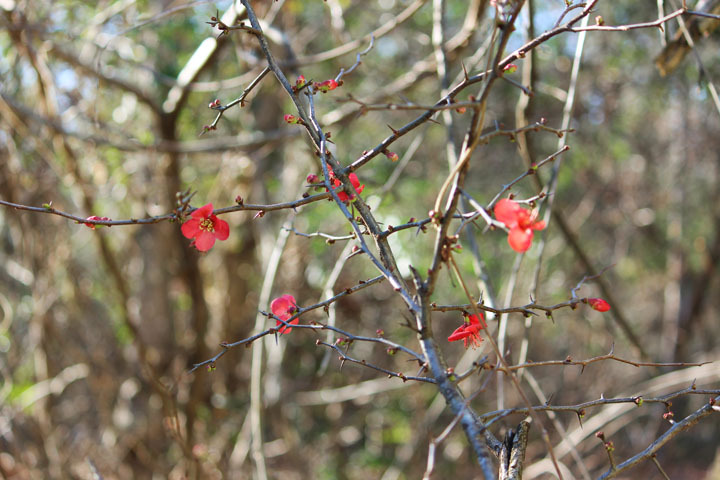 I learned 1) that hairy bitter cress is edible (I’ve been pulling it out, thinking it wasn’t), and that those beautiful reddish flowers I see around the neighborhood are quince. Wow! you are too cute! the mustard family is one of the most “edible” families we have. Just nibble and use the bitter quality to determine if the plant is best for just a taste to stimulate digestion, or to add a handful to a pesto or salad or if it’s too bitter to just leave it where it is! Great photos! We’re a bit behind NC’s spring up here in Michigan so I’ll keep an eye open for these. 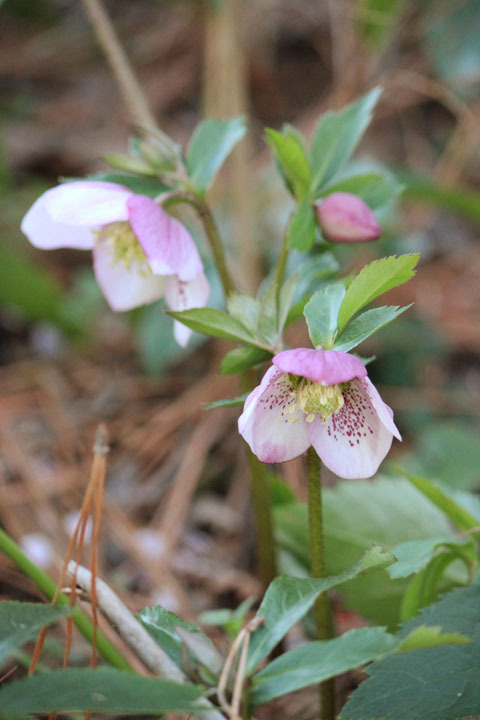 I believe the last flower you have there is a lenten rose (a favorite of mine)!